Budbreak (or budburst), is best described by using the BBCH-scale. This scale, is one of several that defines the phenological development (growth) of winegrapes, has assigned 2 digit codes and descriptions for every growth stage. These begin at 00 (dormancy) to 11 (first leaf unfolded) to 61 (beginning of flowering) to 89 (berries ripe for harvest) and ending at 99 (all leaves have fallen off the vine in late fall). This Spring has been an interesting mix of really warm and really cold weather that has definitely affected budbreak. 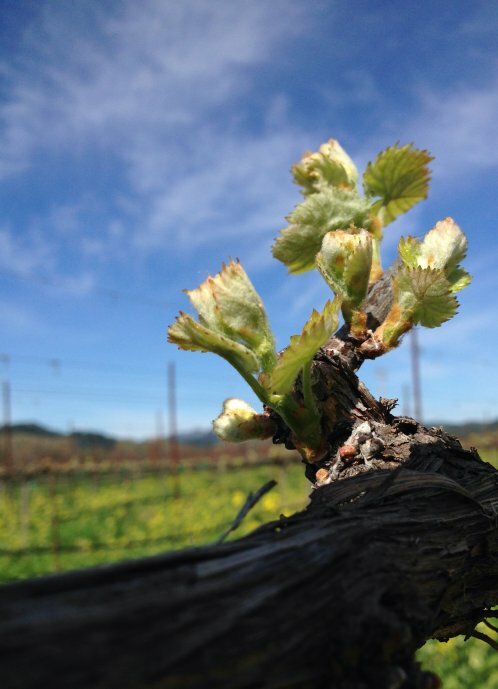 It warmed as Chardonnay was in the middle of budbreak hastening that process while also encouraging the Petite sirah, Petit verdot and Viognier. Then it got quite cold and has stalled the rest of the varieties as the buds struggle to open. Another interesting year!